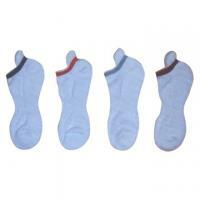 Home Companies Ningbo Sockis Co., Ltd.
vMore than 20 yearsmanufacture experience. can be used as customers requirement. vSingle/double cylinder knitting machines imported from Italy and Korea, 96N.108N, 120N, 132N, 144N, 168N, 200N. paypal fee when you choose it. vSamples are available within 7-10 working days. Our company is headquartered in Ningbo, one of the biggest ports in China and our factory is located in Zhuji, which is known as one of the biggest sock production centers in the world. During more than 20 years' development, our company has established a complete structure of material supply, production and sales. With more than 300 computerized socks knitting machines imported from Italy and Korea, we possess an annual production capacity up to 10,000,000 pairs of high-quality socks. A&V Checked Suppliers are suppliers who have passed authentication and verification inspection by Alibaba.com as well as a third-party verification service provider. Suppliers must be A&V Checked before becoming a Gold Supplier.